A fever is your body’s way of fighting an infection. It is indicated by even a slight yet temporary rise in body temperature. A fever is usually a sign of an illness or that something abnormal is taking place inside. Although having a fever may come with feelings of discomfort, there is really nothing for an adult to be concerned about unless the fever is higher than 103 F (39.4℃). A fever can be effectively controlled by taking fever reducing medications. Acetaminophen is anon prescribed drug which is useful in reducing fever and relieving pain. It is FDA approved and includes drugs such as Tylenol and others. Acetaminophen works by telling the pain center to lower the temperature when it rises. The average dose for adults is 325 – 650 mg every 4 hours, not exceeding 4 grams each day. The dosage for children varies according to the child’s weight and age. Acetaminophen should not be taken for more than 10 days and has no known major side effects unless taken in large doses. It is also the top pick for pain relief for pregnant and nursing mothers. Ibuprofen is a non-steroid based anti-inflammatory drug. The most common types are Advil, Nuprin and Motrin. Ibuprofen works by stopping the body from producing the hormone which causes pain. It is most effective for the treatment of minor to moderate aches and pains, including menstrual cramps. Daily dosages of tablets or suspensions should not exceed 1.2 grams each day. It should always be taken with meals in order to prevent an upset stomach. Ibuprofen can be taken alternately with acetaminophen for no more than 10 days at a time. Aspirin is the most popular fever and pain reducer. It works by effectively blocking the production of pain and inflammation causing hormones. Its effects last the longest compared to other similar drugs. Aspirin should always be taken with meals. It can be toxic in adults and should never be given to children. The average dose ranges from 50 mg to 6000mg. Although a fever will usually go away within one or two days, there are some things that you can do to speed up the process. 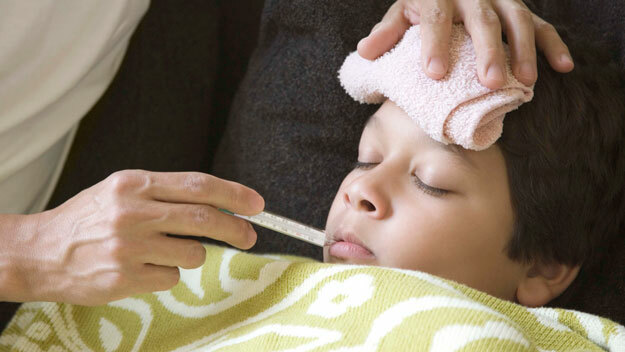 When considering quick relief from fever you should consider both reducing the fever as well as treating dehydration. Below are some home remedies that will work quickly. When you have a fever, your body loses fluids through sweating. 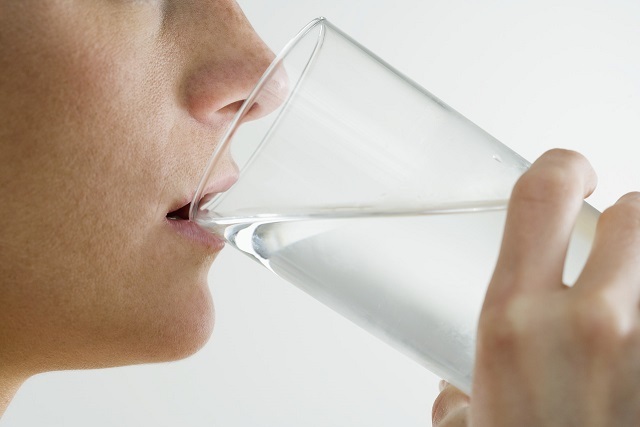 Therefore, you should try to replace the fluids being lost as much as possible to prevent dehydration. Drinking lots of water or eating fruits and vegetables such as watermelon and cucumber should also help. You can naturally and effectively reduce a fever by taking a sponge bath. This is best if done with all your clothes off in lukewarm water. You can repeat after four hours if necessary. An alternate method is to soak strips of cotton cloth in lukewarm water and placing on your forehead or the bottom of your feet. Remove the cloths after 10 or 15 minutes and repeat if necessary. Some herbs are useful in reducing fever and inducing sweating. These include feverfew, yarrow, chamomile, lemon balm and elderflower. You can make your tea by steeping 2 tablespoons of the dried herb in 2 cups of boiled water for 10 to 15 minutes. You can sweeten with honey if you desire. Drink one to two cups of tea every few hours. Wrapping the feet with specific substances can be very effective in reducing a fever. You can make a foot pad using garlic, egg whites, onions, or potatoes wrapped in a gauze bandage. Of these, egg whites are the best choice. A high body temperature can be lowered by applying a cold compress. Soak strips of cotton cloth or rags in icy cold water. Press onto your forehead or chest. When cloths have reached body temperature, place them in cold water again and repeat the process one or two times every hour. A report from the University of Maryland Medical Center proposes that wearing wet socks to bed can help fight a fever. Soak a pair of cotton socks in cold water and put them on. Over these steps, place a pair of thick woolen socks. While you sleep, your body will produce extra blood and lymphatic fluid to combat the wetness on your feet. These will also build your immune system. You can repeat this for a few nights. Warnings: Although you may have chills or cold sweats during a fever, it will not help to wrap yourself in a warm blanket or layer with clothes. A single layer of comfortable clothing should be sufficient. Rubbing down with alcohol or having an ice bath will also not do much to speed up your recovery. History of serious sicknesses such as heart disease, diabetes, cancer, AIDS, etc.